TRANSCEND MEDIA SERVICE » Has America Become a Plutocracy? 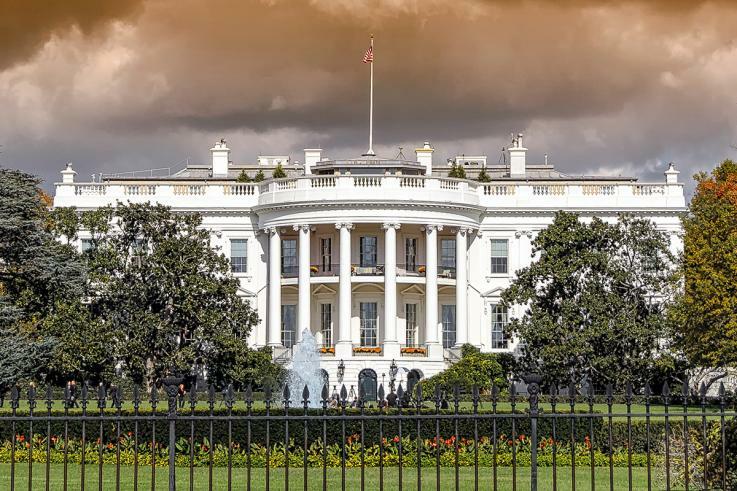 Has America Become a Plutocracy? 21 Nov 2018 – President Trump’s easy forgiveness of the Saudi plutocrats who almost certainly murdered and dismembered journalist Jamal Khashoggi is consistent with this president’s comfortable bonhomie with military and authoritarian tyrants in Russia, China and North Korea. His solace for dictators contrasts starkly with his uneasy bickering with our traditional democratic allies in Europe, Canada and Australia. But President Trump is no historical anomaly. He is rather the radical acceleration of a devolution towards plutocracy that has been diminishing America’s democracy and ideals for the last half century. These trends have transformed our nation into a warfare state with vast gaps between rich and poor. America has spent $6 trillion on war since 9/11. It can credibly be argued that America is now, officially, a plutocracy. My grandfather, Ambassador Joseph P. Kennedy, warned that America could not be both an imperial nation abroad and a constitutional democracy at home. That unstable configuration, he argued, would diminish the middle class, yield large chasms between rich and poor and erode our constitutional and civil rights. Seven great traumas have since pushed us down the path toward plutocracy, and decisively ended America’s claim to be an exemplary experiment with democracy. Those traumas have helped transform our country into an imperium abroad and a national security state at home. Those traumas include the assassinations of JFK and RFK who were both arcing the country toward peace, and Martin Luther King Jr. who, at the time of his murder in Memphis, was forcefully linking the Vietnam war with the poverty, racism, violence and injustice back home. The Vietnam War, which became an American War in 1965, was the fourth trauma that took us away from our aspiration to be the world’s exemplary democracy. The bizarre election of George W. Bush by a 5-4 Supreme Court vote and his handling of the 9/11 attack further pushed us down the path of plutocracy. Imagine for a moment that the Florida vote was counted and Albert Gore became president. We would not have invaded Iraq—a policy choice that eventually led to the war in Syria and the refugee crisis that is already breaking up the EU and will threaten democracy and stability in Europe for at least a generation. Gore would have handled 9/11 by attacking its root cause—our deadly addiction to oil. Instead of squandering $6 trillion on wars, he would have spent that money transitioning America to a clean energy economy. There would have been $5 trillion left to build America the world’s greatest schools, hospitals, health care for all Americans, roads and infrastructure, internet and more. We have paid for these wars by hollowing out the middle class and creating the seething American economic refugees who elected Donald Trump. Trump himself is the latest trauma and his presidency has not just discredited our nation, but the entire American experiment in self government. In 1784, America was the first democracy in modern history. By 1865, there were six—all modeled on ours. By 2000, 63 percent of the world’s nations were governed by democracies, according to The Economist and it was the preferred system for most of the world’s people. The United States was still the prevailing template. In that sense, we had achieved our historical aspiration to be the planet’s exemplary nation. But with Trump as president, can we still make that claim? He is, by every measure, the most loathed, feared and disdained leader alive. Why would any nation opt for a system that could yield the rise to ultimate power of a belligerent and incurious man who doesn’t read books but instead gains office by his capacity to assemble money and wield the demagogic alchemies of racism, fear mongering and tribalism? The Economist reports a growing disillusionment with democracy worldwide; only 19 true democracies remain, a number that has fallen by six since 2006. I’m in China at the moment meeting with Chinese leaders on environmental issues. During my last visit in 2014, even the top leadership here spoke of a slow transition to more democracy. Now that vanity is gone. A Chinese minister told me that the Chinese system produces leaders at every level who tend to be the smartest most capable technocrats in the nation. “Why would we adopt a system that produces clowns and buffoons or dangerous leaders?” he asked. In 2014, Mao, China’s former absolute dictator was in disrepute. Now, his representations and statues and photos can be seen everywhere. A Chinese environmental activist—once a strong democrat—explained to me the change in attitude. “China needs a strong leader who will put Chinese first. Mao is our role model,” he said. Everything is connected and it seems that the $6 trillion did not buy us more security. Just more opportunities for conflict which is of course is what the plutocrats want. If we continue along this path, there is plenty yet to come. 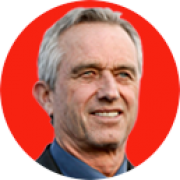 Robert F. Kennedy Jr. is a longtime environmental advocate and author of several best selling books, including his latest: American Values: Lessons I Learned from My Family. Of course Robert is a bit fanciful about Al Gore and his environmental and peaceful intentions! However, he does have a good heart and also works with Greg Palast in his work on voting suppression. It is probably too late to overcome the oligarchy in the USA.